Our product range includes a wide range of Footwear Testing Equipment such as Sole Adhesion Tester, Belt Flex Tester, Bennewart Flex Tester, Specific Gravity Balance, Specific Gravity Balance (Digital Model) and Toe Cap Impact Tester. With the help of our experienced engineers, we are able to manufacture, supply and export a commendable array of Belt Flex Testers. These products are use to flex the soles of footwear with their actual patterns. We use finest quality components and other material to manufacture the offered product-line following industry set guidelines. 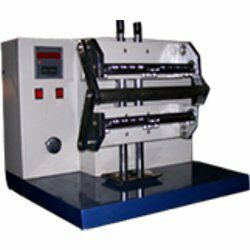 Moreover, to cater to the variegated requirements of customers, we offer these testers in various sizes, specifications and models at nominal prices. 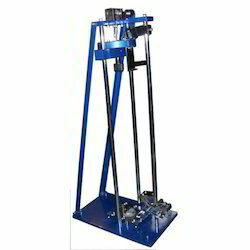 We are engaged in supplying of superior quality Digital Specific Gravity Balance to our valued customers spread across the nation. Power required: 220V AC, single phase, 50Hz. 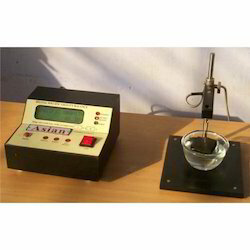 We have established ourselves as a renowned manufacturer, supplier and exporter of a vast array of Toe Cap Impact Testers. Our range is used for determining the performance of toes of protective boots. The professionals hired by us use high-grade material and other components in the manufacturing process that are sourced from most trustworthy vendors of the market. These products are highly applauded by the customers for their corrosion resistance, minimal maintenance and sturdy construction. 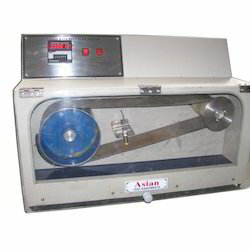 We have gained expertise in manufacturing, supplying and exporting a quality range of Flexometer. Advanced technology and latest machines are employed in the production process so that our range is in compliance with international quality standards. Flexometer available 6 stn,12stn,24 stn. 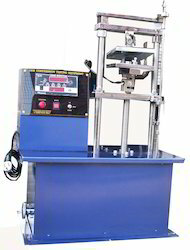 We manufacture all type of test equipments for safety footwear. We have gained expertise in manufacturing, supplying and exporting a quality range of Bennewart Flex Testers. Advanced technology and latest machines are employed in the production process so that our range is in compliance with international quality standards. 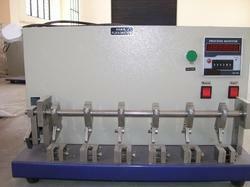 The products made available by us are used for testing the physical properties a footwear's sole. These products can be availed by the customers in various specifications as per their requirements.